Presbycusis is the most common cause of hearing loss. It results from the effects of aging on the inner ear. It is not medically or surgically treatable. Our Doctors of Audiology can provide education and fit you with hearing aids and other assistive devices, as well as provide strategies to improve your hearing in common situations (including; restaurants, group settings, home environment, etc.). Chronic otitis media is usually caused by acute otitis media, blockage of the eustachian tube (which connects the middle ear and the back of the nose), an injury to the ear, or blast injuries. Chronic otitis media is a condition of the middle ear that can cause hearing loss and eardrum perforations. Most infections with perforations can be treated with antibiotics. A medical referral is required for this condition. In otosclerosis, the new bone traps and restricts the movement of the stapes, causing conductive hearing loss. Otosclerosis also may cause a sensorineural hearing loss, particularly when the foci of otosclerotic bone are adjacent to the scala media. Half of all cases are inherited. The measles virus plays an inciting role in patients with a genetic predisposition for otosclerosis. This is a condition in which a bone growth in the middle ear prevents the small ear bones from working properly. This type of condition presents with a conductive or mixed hearing loss. This also requires medical referral to determine if you may benefit from surgery or require a hearing aid. 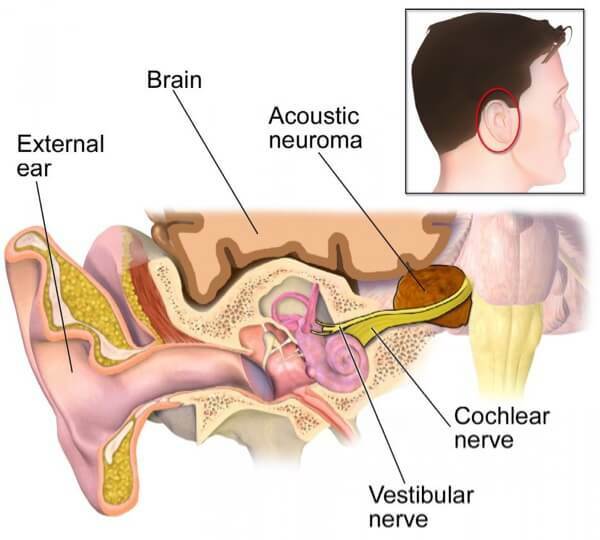 An acoustic neuroma is a noncancerous (benign) tumor that grows on the nerves leading from the inner ear to the brain. This type of condition usually shows up on a diagnostic hearing test with an asymmetrical hearing loss or an asymmetry in the ability to understand speech. A medical referral is required prior to pursuing any type of hearing device. 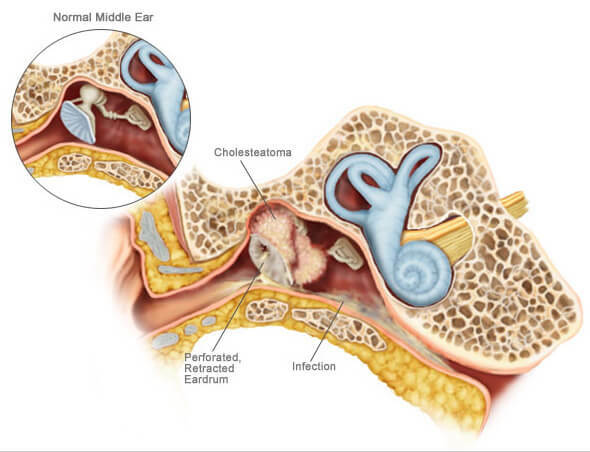 Cholesteatoma (koe-leh-stee-uh-TOE-muh) is a type of skin cyst in the middle ear. Individuals may be born with one or acquire one following repeated ear infections. These growths are not cancerous but can damage the ear and cause hearing loss. The initial treatment is to stop the infection and drainage with antibiotics and eardrops. In some cases, surgery is required. 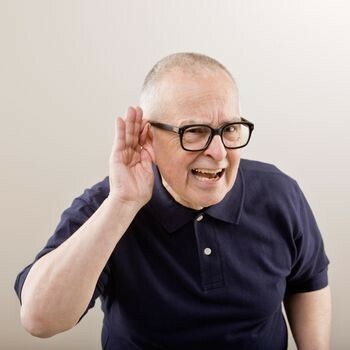 Sudden sensorineural hearing loss (SSHL) is also known as sudden deafness. This condition occurs suddenly. Individuals may wake up and feel like their ear is plugged and cannot hear at all. Other may experience a loud ‘pop’ or ringing in the ears followed by dizziness. Immediate medical treatment is required by an ENT/Otologist. The best outcomes for restoring hearing are usually from treatment within the first 72 hours. A steroid injection through the tympanic membrane may be needed to reduce inflammation and damage to the cochlea.